The KX-3T was voted Product of the Year 2019 and took 3rd place in the 'Passive Components' category. 1.2 / 1.0 / 0.3 mm is now available. range of -40 - +85°C. 1.6 / 1.2 / 0.6 mm is now available. a series resonance of only 20k Ohm typ. Trim Sensitivity, thereby saving power. range of -40°C ~ +125°C for Automotive applications. AECQ 200 qualified. 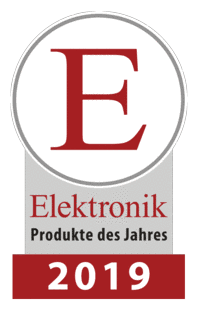 GEYER offers you a large range of kHz Oscillators. 'Sample Order' or Tel. +49 89 546868-18.
measuring only 1.25 | 1.05 mm has just arrived. time measurement over a very long period. of 8.0 ... 60 MHz. of 7.680, 8.0 ... 300 MHz. radio transmission of serial GPS data. low input current of only 1.5 mA. cation technologies with limited space. Please ask for samples here. 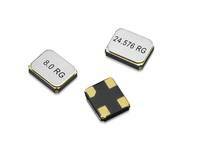 Produced in a case with only 2.5 | 2.0 mm and a maximum height of 0.7 mm, the GEYER Ultra-Miniature SMD TCXO is predestined for ambi-tious applications in the field of Telecommuni-cation, Radio Technology and GPS-Telemetry, boards with high packing density and only limited space is available for the oscillator. The frequency tolerance is defined with ±0.5 ppm at 25°C and an over all tempera-ture tolerance of ±2.5 ppm. The available frequency range starts at 3.250 MHz and goes up to 54.000 MHz. Selectable power supply values are +1.8V DC, +2.5V DC and +3.3V DC. The operating temperature range for the KXO-86 is specified from ?30 to +75°C. The KXO-86 is available also as VCTCXO (additional Voltage Control Function), power supply 2,5V or 3,3V DC and a pulling sensitivity in the range from ±9 ppm to ±15 ppm (at 1/2VDD ±1,0 V). Custom defined specifications on request.